Bluetooth v4.0 low energy single-mode (Bluetooth Smart). 32-bit ARM® Cortex M0 CPU with 256 kB flash memory. Up to 2 years battery life. Output Power max 6 dB. Max range up to 250 m.
External antenna built in mould. (65% better gain and accuracy than on board antenna). Operating temp -40°C – +85°C. Accelerometer ±2g/±4g/±8g/±16g dynamically selectable full-scale 2 independent programmable interruptgenerators for free-fall and motion detection 6D/4D orientation detection. Encrypted data communication in setting/adjustment mode. 6 digit authorization code to access beacon settings. 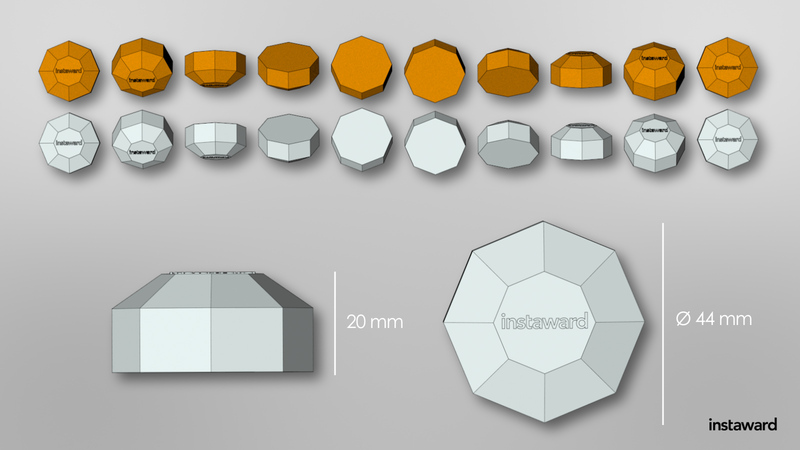 The Instaward Lighthouse is made out of silicon/rubber. Moister proof. Electronic and battery coated. Radio type approved for US, Europe, Japan and Canada (FCC, R&TTE, MIC, IC). Compliant with EMC, Safety and Medical standards.